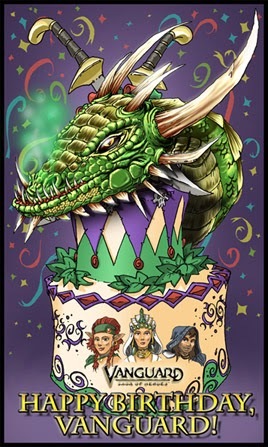 ECTmmo.com- MMO Blog: The Adventures of Kaozz...: Happy Birthday Vanguard! Today marks the 7th anniversary for Vanguard: Saga of Heroes. Bittersweet at that, it got this far and now it is close to the end. 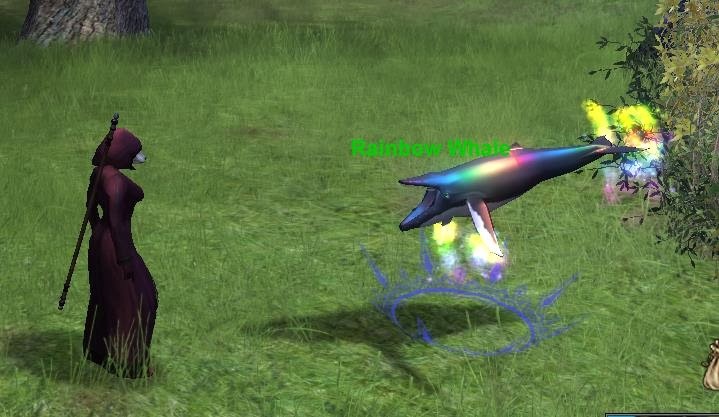 If you log in now there is a gift, a rainbow whale. Kind of an odd pet, but interesting. There is also a contest for a signed CE of the game, I still have my box sitting on my desk proudly but a signed copy would be awesome. There is also, of course 50% off SC items until the game is over (no comment here), double xp and faction. So, if you want to be there for the last six months, there is a small boost. You can check out the full page for the event and some commentary from developers, as well as the contest information on the official Vanguard site. There is still some time to check it out, it is worth it if you have never played. The world is beautiful with a vast landscape to explore. I am sure there will be a bit to check out with the anniversary and at least a happy whale pet to ohh and ahh or simply to gawk at. Happy Birthday Vanguard, sad it will be the last.